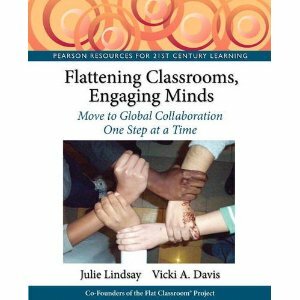 Great resources with all types of activities and resources for your classroom. For those who love wikis and want to see what people are using around the world, visit Eduwiki.us. with over 2000 resources listed, this is a great resource for what people are doing. Ann is doing great things with backchannel chats with her 7th and 8th graders - this is a fascinating post and I learned a lot. These are my favorite apps, software, and sites for managing my life, home, classroom, and more. Hope you enjoy and hope you share yours in the comments. Google Calendar is now and has been my calendar of choice for about a year and a half. I have a personal calendar for me that is set up to send me a text message at certain times before I have to be somewhere because I always forget what time it is! My family and each child has a calendar (I set the kids appointments to automatically show up on the family calendar), and I use Google cal for my classes. Each class and major project such as netgened has a calendar and I embed these calendars in all of the Nings, blogs, and wikis as needed to keep people apprised of what is happening. I print these calendars out for my classes and for the refrigerator! The greatest addition to the calendar is that now I keep my 5 most important calendars on my Apple iPod touch 16 GB (2nd Generation) . Itouch will now sync with Google calendar! So, now, when I put something on my NetGenEd calendar, it appears immediately on our wiki for the other teachers to see. As part of calendaring, I use TimeBridge to set appointments. Timebridge often throws the time zone warriors off because they don't realize that it converts time zones FOR YOU! We set up a Timebridge group for our projects with everyone's email and invite them to the group. Once they join, they get invitations to meetings. TimeBridge lets you select five potential meeting times AND interfaces with your google calendar if you set up the link, so you can see the best time to pick those meeting times. While you're deciding which meeting time to use, all five slots are marked as tentative on your Google Calendar. Once there is a best time for everyone, if Timebridge can do it, it schedules the appointment, puts it on your Google Calendar and sends out automated reminders. It is like an appointment secretary. For larger groups with time zones scattered around the planet, sometimes you have to go in and pick the best time, then it confirms and lets you know who is coming. Since we've started using this handy tool we have more people at our meetings and it is just great. My good friend, Julie Lindsay, has shared her availability with me, and I have with her so I don't try to schedule meetings with her when she's busy! Handy handy tool which also interfaces with Outlook and other calendar services. Google Groups is a phenomenal way to share and keep up with people. When people subscribe to the group, they may set up the group to send to them as they wish. I set active projects to send me an email immediately. When I reply to the email it is automatically posted to the group and sent to the others. We handle all of our private teacher communication in this way. And if you accidentally delete an important email, you can just go to the group website and the message is still there! So useful! This is used for our project groups, Google Teacher Academy Members, and for my homeroom class. Twitter is a fun and useful tool for connecting to others. So many teachers and educators have joined in the Flat Classroom Projects (FCP's) such as Digiteen, FCP, and NetGenEd through twitter. But how do you manage when you start building a large network? TweetDeck is my twitter tool of choice on my computer. I have the large twitterstream on the left followed by my replies in the next column. Then, I have my direct messages. My "cool columns" are my Hotlist - these are some closer friends who I connect with on a personal basis. I check these to make sure I keep up with these friends. There is also a column searching for the word "teach" which gleans for me many educators who emerge into twitter who I want to learn from. On my itouch I use TwitterFon and enjoy the features it has including the ability to look at conversations. Although many of my friends swear by Tweetie as their iPhone/iTouch app of choice, I love TwitterFon and after the initial month of use, it has become very stable for me. I still enjoy using Plurk and try to get over there. The thing that is more attractive about Plurk for many of us is the ability to privately microblog. On twitter, you get many people following you -- Friends, enemies - whoever. Now, on plurk, you can more carefully control who you are talking to and have little microconversations with smaller groups of people. I'm still not a pro at plurk and after getting over the thing about Karma - I usually just plurk on my itouch. I could care less about Plurk Karma. I still like blippr for sharing books, etc. and it is one of those places I check every so often. People write mini reviews on books, music, and movies - just a neat way to share. I get over to facebook far less than it appears. I usually use the Facebook App on my itouch to keep up with things and perhaps log onto facebook about 3-4 times a month. It is becoming increasingly useful for finding old friends and this is one reason I still get over there! I need to somehow I need to take the time to go through and make groups. Facebook seems noisy to me now and I just don't have a lot of time while online on my computer to go there. Twitter is set to auto update Facebook, although I've been working on figuring out how to only have it post tweets and not replies. I may just have to disable the app and let Tweetdeck post to facebook when I ask it to. Of course, on my igoogle page, sometimes I use Ping.fm to update my statuses in many places as well. LinkedIn is the place for professional networking. Very often, I've found that professionals check each other out based upon the references and information in here. 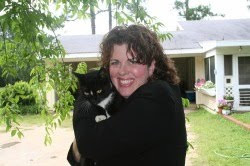 There are also spammers and the groups I've joined including the Edublogger group that Josie Fraser and I try to keep up with, and the ISTE group sometimes have troll behaviors that we have to sort of avoid. This is what we use to build educational networks, although I have to say many of us in the edublogosphere are watching Ning closely to see if they are going to turn away from the previously education friendly stances. They have traditionally taken the ads off of K12 Nings, although I've emailed them three times about my schools Flint River project and they have yet to take the ads off. The biggest mistake Ning made in this area, in my opinion, was in not keeping the services of Steve Hargadon, founder of Classroom 2.0, who I think advised them well while he was there. So, we're going to have to watch Ning for now. You can still pay to take the ads off, but for those of us who administer multiple networks with little budget, we'll have to see. That being said, they are still the coolest, most robust way to set up an educational network, although when working with kids, we typically disable the apps. More trolls have been popping up here as well and you just have to keep an eye on things. When you have students involved, you always have to watch! This is a fun way to look at the tweets on twitter. Related Posts: Basics for Beginners: What is Web 2.0? Why on earth would I stay on blogger? I've had so many people offer to move me, host me, put me somewhere else and bemoan that it is blocked at their school. Really, the best reason has to do with the fact that it is Google and they are the search engine of choice, still. When you move your blog, you lose momentum. I know many people who have moved it, but still, you do lose momentum and somehow become disjointed. I'm the type of person who moves furniture just to move it, but this is one thing you do not want to move, for many reasons, but mainly just because it lets you focus on the main thing. I hand code a lot of things on blogger, but still enjoy it. My FAVORITE book about blogger that has helped me a lot is Blogger: Beyond the Basics. It is interesting how many people are starting to blog. Although many bloggers may feel like this is old news, the critical masses of people are just now finding blogging and loving it! Don't discount blogging and remember that if your blog isn't being found by search engines, then you're missing out on getting your message out - if you have a message to share. I like Feedburner for burning my feeds, just in case I ever have to move, it makes it easy to at least move your subscribers. Feedburner also allows you to use feedflare in your posts (at the end of these posts) and set up automated post to email, and convert your blog to HTML (which is how my school website is updated with our newsblog.) There are some who do not care for feedburner, particularly after their merger with Google. Although I've enabled Google Analytics, StatCounter is so much more reliable for keeping up with statistics on this blog, and I often follow links to my blog here to see what people are saying. Although I follow the backlinks through Technorati, I have found that over the past year that many people are not pinging technorati and I am not finding or keeping up with blogs from others that I'd like to respond to. So, although it is important for power bloggers to register on technorati and follow themselves here, it is not the ONLY way any more. The authority means far less than it used to, but it is still something you can look at. I check Technorati backlinks at least 3-4 times a week and have subscribed to the RSS for those who link to my blog through Technorati as they are brutal about pulling out splog links (spam blog links from fake blogs) and the links are pretty good that come through. Related Posts: What is LinkLove? Why Does It Make a Difference to Bloggers? The ShowMe Widget is a cool way to add links on the side of your blog to all of the places that you share. Although I actually allow two types of commenting on my blog (Blogger and Disqus), my preferred method is disqus. Disqus sends me an email when someone responds and I can send an email back -- I send "approve" or "reject" and it does it -- or, if I want to reply, I reply to the email and it posts the person's comment along with my response immediately. It also has powerful spam filters, etc. I left blogger open just because some people say that they will not sign up for another commenting account and the more ways that people can communicate and share, the better. It is not perfect, but what is. There are some handy tools that save me time while blogging. I enjoy using the Zemanta plug in for firefox as it helps me find photos (although you have to watch the copyright) and related articles to what I'm posting from both my friends and from my own past blog posts. It finds links that I mention and allows me to quickly link to the sites. It is so very useful. Scribefire is also a great tool for powerbloggers and allows you to produce rich blogs with links by opening a small window for blogging at the bottom of the pages as you surf and research a subject. It keeps you from having to go to multiple windows. Having your blog found is very often about "pinging" or letting engines know that you're there. Pingomatic, once enabled, is a silent angel that lets everyone know that you're there. Fast easy way to grab small screenshots and embed in your blog. It also does image maps easily. Diigo has powerful annotation features and a class group system that is incredible. Interestinly, Diigo is one of the few tools you CAN use with kids under 13 as you can set up a teacher account and use the teacher console to set up email-less accounts for your students that you can disable profiles for and they can share bookmarks with your class. We use Diigo for Digiteen and for Flat Classroom. One of the biggest reasons for Diigo is that they have tag dictionaries. Tag dictionaries allow the special tags you specify to pop up when someone sends a bookmark to the group using the Diigo bookmark tool. They can still add tags of their own, it lets you use the tags to filter through and force the results to come through in the way you choose. For example, on Digiteen, we have nine aspects of digital citizenship and have set up nine tags (plus a few extras) -- when a student uses the tag digital_safety it not only goes to Diigo but to the wiki page on that topic. By far, Diigo has been one of the most responsive companies to educators that I've ever worked with. Maggie Tsai from Diigo is a hard working, silent genius and I love working with her. She's always quietly chatting to me asking thoughts, opinions, and responding. Wow! She's great! Maggie, Julie, Anne Bubnic, and I have an NECC session on this tool and we have a lot to share! Chris Walsh first tipped me onto this gem at CUE (see the CUE channel) and I'd seen quite a few power users like Leon Cych from the BBC use this tool. When I got my itouch and started enjoying the video podcasts there (some call them vodcasts) the light bulb went on. Oh, blip.tv - it is a great tool. For those sharing content, you need it. It also lets you privately publish and share with password only access. You do have to pay for the pro account to have conversion for itunes, but it is well worth it to me. I think that handhelds are in hyper-growth stage in terms of media and content access and you'll want to make sure your content is available there. Mom was researching a health issue yesterday and she told me she went to YOUTUBE. It struck me - YOUTUBE? But yes, youtube. Youtube is here, it is often where people go to read the news and learn about things happening around the world and yes, even down their own street. It is odd to me how many local people here have learned about the work at our tiny school just down the road from them on youtube or through our blog and NOT from the local newspaper. With newspapers now looking at filing for nonprofit status, they've really missed out on some easy online ways to connect people. Schools should have public youtube channels for many reasons - if only to protect what is said about their school. If you don't say something about your school on youtube, someone will. And often, those who do will share a message you may not like. Yes, this requires release forms, and some production capabilities, but if you want a positive message to be spread about your school or organization, it is up to you to spread it. This is my life streaming tool of choice for workshops, conferences, and the like. We used this for our Flat Classroom Conference in Qatar. 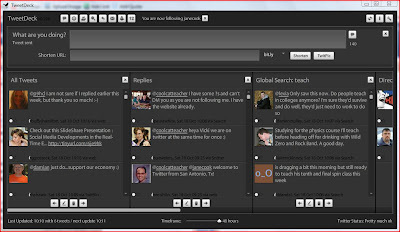 With a host of useful features, live chat, and interaction with Twitter, this tool gets better and better. Additionally, you can password protect your show and allow parents to watch events live that they cannot attend in person. Related Posts: Ustream and Operator 11: Hype or just Hyper? This tool hasn't been one I've used a lot myself... yet. But it will be. Mogulus gives you the ability to set up 24/7 video programming - like your own Cable Channel. As the Internet increasingly serves up our media content, I predict this website will increase in importance and I want to know how to do better with it. This is by far the favorite technology tool of our teachers at Westwood. In addition to being able to show clips of movies, the lesson plans, quizzes, and information in here are something that our teachers love. I get more compliments on Discovery Education Streaming than any new technology we've implemented on a school wide basis in the last two years -- TIED with Skype and Gmail! I use the AFI curriculum and pull from here all of the time. To me, a 20 minute movie is too long, so being able to show 4-5 minutes gives enough of a pace change to help students move their minds ahead to do more. Chock full of video tutorials of all kinds, our students and teachers have access to this valuable service. As full disclosure, I did do two courses for them: Introduction to Web 2.0 and 7 Steps to Flatten Your Classroom. Cost: Contact Atomic Learning for pricing which varies by number of students. I love this movie program. Although I downloaded and tried Adobe Premiere Pro CS4 , I think I'm too dense to get that program. Windows Movie Maker (which comes free with Windows) is a good entry-level program that I use for the students in eigth grade, but to be able to greenscreen (called chroma key) and insert royalty free music, this tool is GREAT. We used this to create the 53 minute keynote Julie and I delivered for K12 online this past year. Although the first version of Pinnacle Studio I used (version 8) was HORRIBLY unstable, I have Version 12 on this laptop and it rarely crashes. I did have to take it offline and disable all antivirus to render the 53 minute movie for k12 online, but it is a gem. I make a family movie for Christmas every year and oh, what great things this program does. The automovie feature is wonderful and takes pictures and a song and makes professional quality music videos. I'm still learning the features on this tool, but LOVE IT! For simple, elegant slideshows, this is where I start beginners. One of my fellow teachers, Betsy, came to me and wanted to make a tribute for her Dad's birthday and this was where I sent her. She made a flawless DVD that brought tears to everyone's eyes and it was so easy. It comes Free with Windows. 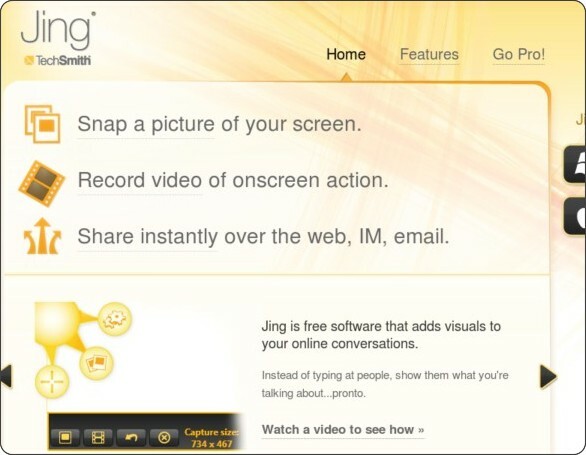 Jing is great for screen captures that you will embed and share on blogs, like those done by my students in OpenSim on the Digiteen blog. But beware, exporting is a bear, if not impossible. Camtasia is the high end screen capture program of choice for me. The screen captures are flawless, and audio is great. This is a powerful tool and I used this to help with making the video series I did for Atomic Learning. I wish I had a copy on every computer in my classroom and I hear these are GREAT with tablet pc's and screen casting like my friend Eric Marcos does with mathtrain.tv. If you want to convert and even edit, QuickTime Pro hides some deceptively cool tools behind the simple interface. It coverts from anything to just about anything and was worth the money to put this on all of my student computers. The biggest issue with digital storytelling is that students film on their cell phones, cameras, and all types of things - QuickTime Pro can grab and convert a lot of it for you. Actually, when you buy it, you enter the key code in the version of Quicktime you already have, and the pro versions are activated. Cost: Free, just check the license of the work you want to use. If you are catching the online watching bug and are in the US, you can watch full length movies here as well as clips or current television shows. This is one reason it is worth hooking up your television to a computer. You can also embed these in your blog, just be aware that many people cannot access this site. While it is apparent that this site is serving up some content that they DO NOT have the copyright for, many people watch here. If you're going to use this site, make sure you have antivirus and firewall software as when I went to it today, my Avast antivirus went crazy. Cost: Free, Will you get a virus? Not sure. Whether my students are making video games to study with, graphic organizers, timelines, or preproject organizers for their writing - Classtools.net is one of my favorite tools to use with wikis. Cartoon maker of choice. If you require the cartoons to teach or convey the summative meaning of a lesson, this is deceivingly challenging. This is a fun, easy tool to use with students that mixes and makes cool movies. Good when you want to focus on the content and not spend a lot of time editing the movie. Cost: Free for 30 second clips; $3 for a single; $30 for a full individual license - Check site for pricing. Full accounts are supposed to be free for educators, but I've never been able to get them to activate my account, let me know if they give it to you for free. A great tool for giving tribute to retiring teachers or to document work of younger children. I love this tool, particularly for elementary kids. Cost: Although you can create an account for free if you are an educator, class options are available for creating profile-less accounts for students (which means you can use it with kids under 12.) Pricing options also are available for highered and business. Related Post: What a Great Way to Honor Someone Who is "Retiring"
What has saved my son's first grade year - from C's to A's this is a GREAT tool to help kids learn their spelling. Teachers can make spelling lists and parents can share them. Why this isn't yet an app for the iTouch is beyond me. When we are discussing cultures, we go here to compare the leading news stories in various countries. When students need to search for current events, I send them here. When we are preparing for state literary, they go here to see the emerging news. This meta analysis of the news leaves the students and I more well versed in more topics and it is often where they go, in addition to wikipedia, to START their research, although we do not quote Newsmap or Wikipedia in our work. This is the site I love for younger kids as it promotes digital citizenship. Our digiteens used this with our fourth grade and planned lessons for them as well. I do recommend disabling the chat unless you're going to log into your parent account and monitor the chat. You can also enable it so that teachers can interact with your child if you wish. Cost: Free, although parents can purchase additional incentives for children, although I didn't do this for my own children. This is a great program which a particularly robust engine to allow for research, clip grabbing, and URL linking. For prewriting or content creation, this for-fee software is a great addition to my computer lab. Though I am loaded with software for my Polyvision board, my favorite tool for teaching on my IWB is Microsoft One Note. It is easy for my students and I - allows all kinds of screengrabs and URL pasting from the Internet and is very easy to print, post, and share. It is my favorite tool for the IWB, hands down. Mindmapping and Brainstorming with sharing capability. This is a great way to share graphics. We use this to share the student summit files and graphics after we have online presentations. Cool Timeline maker that can look at and track changes that you've made on your blog or website and generate fascinating timelines. This is the favorite collaborative tool of my students. From taking notes, to working together, the first thing they do to collaborate and write together is Google Docs. I think every student should know how to do it, although many schools have a 1,000 reasons why they block this handy tool. This is the kissing cousin to the wiki in that it tracks all revisions. The cool, live charts and add ins on spreadsheets are a must see and a great tool for teachers. This is still the defacto standard of word processing but has some collaborative features that make it the tool of choice for the magazine and online editors that have been my privalege to work with. After talking with them and college professors, collaborative authoring in Word have been added into my curriculum this year. Looking forward to testing Office Live with it to see what it does to extend the usefulness of this great tool. Great spreadsheets and charts have always been in Excel, but the most useful new thing in here are the ability to filter tables and manipulate them in ways that make Excel even more closely related to Access than perhaps the developers are willing to admit publicly. My students now track things like class dues, prom fundraising, and all sorts of things in Excel and do neat things with it that teach me about the new uses of Excel that I wasn't aware of. In the first week of class my students set up or revise their igoogle page, which we call a Personal Learning Network (PLN.) At the start of each global collaborative project, they set up a new tab. I use my igoogle page as my virtual inbox and life management and many of the tools listed here are embedded as widgets into my iGoogle page including my Google Calendar, Ping.fm, and Remember the Milk. I blogged on this over at Edutopia a while back, Personal Learning Networks are Virtual Lockers for Schoolkids. Knowing how to build an RSS reader is an essential skill. If I need to build an RSS page to serve as a portal for others, I use Netvibes (although I have many friends who use PageFlakes and love it as well.) This lets you publish and share the pages to others, like we've done for Advocates for Digital Citizenship Safety and Success. Google reader is my power RSS reader - it has great new features that lets me share and receive clippings from others and add clippings to my own blog. I link my Google Reader to my iGoogle page and feed my "Hotlist" of blogs/ links to my own blog/ and custom searches. Love Google reader. This is my list service of choice. I use it on my itouch, igoogle pace, and even embedded in my Gmail. (I have a gmail app that makes it so when I star things it adds them to my RTM list - more on that in a moment.) I have found, however, that I DO NOT like to put my routine checklists in here. Also, I've enabled sending to RTM via email, so I can email my secret remember the milk email address and it puts the subject as an item on my list and attaches the email in the notes. This saves SOOOOO much time! Cost: Free, or $25 a year for pro account if you want to sync with itouch/iPhone or Blackberry - This is one I do pay for happily. Gmail is the interface of choice for me and Inbox Zero is my Goal! All of my accounts go here - although we have Google Domain services for schools which is great. My four primary email addresses all go into ONE inbox. ONE. It has to be that way. Gmail has become much more useful for me since I added GTD Inbox, which uses the Getting Things Done principles to my inbox. When I tag things with Next Action, it automatically is set to star the email, AND sends it to my Remember the Milk List. AHHHH. That way, when I am working in my email and getting down to inbox zero, I don't lose it all. Remember the Milk appears through an add on to the Right of my email box, making it a simple place to do everything. I also love the Google Labs features in Gmail such as youtube previews (which lets you watch youtube videos from within emails), Canned Responses (a must for people who get a lot of email as it lets you have standard responses you can pull up and then customize for the person), Forgotten Attachment Detector (which reminds you if you said you attached something and didn't), and a Google Calendar Gadget. It is also great that I can use Gmail offline as well as access it on my itouch! Cost: Free for both, Domain services can cost for businesses, but not schools. Where would we be without skype? What a tool! In addition to enabling all kinds of amazing podcasting, webcasting, and audio recordings, for each project we now create a Skype group and keep up a backchannel chat so we can communicate with one another quickly and easily through Skype. I have some friends in North Carolina that have a group chat to help one another and EdTechTalk uses this feature as well. Skype groups is a great tool as well and Skype video is my preferred way to bring in a person to my classroom for an interview. We bring up the video and can see one another - it looks like "real" video conferencing and really, it is. Skype video is a wonderful tool. At school, this is how the front office sends messages to the staff - we are all asked to keep up our skype during the day. It has helped me a lot for troubleshooting as teachers can just skype me and I'll answer their question rather than coming and interrupting my class. I use this all of the time to skype people into my classroom. It comes with a recorder, but also a speaker so that I get no feedback (a problem when you set up with skype.) This really turns skype into a video conferencer for smaller classrooms. They have louder speaker phones for large ones. Related Post: The Inexpensive Divas of Skype from October 2008. Our projects have literally accellerated just because of this tool. We typically have weekly teachers meetings for all projects in elluminate and leave private rooms open 24/7 as a virtual teachers lounge for teachers to use and work together on the projects. We record it and then send it to those who are asleep through our Google Group. At the end of projects, we meeting in elluminate to reflect and share with a global audience. Elluminate is a GREAT tool that is becoming dominant in the education markets I circulate in. They give back and support projects such as the k12 online conference. Related Post: This is the Edge and It Rocks! This is another tool I pay for. $9 lets me remove the ads from this room for a year. I change the room names and reuse the rooms over and over after archiving the chat. We use this with students to take notes and kept the Chatzy up for the entire Flat Classroom Conference, it was a hit with everyone! This is our survey tool of choice for all FCP's (Flat Classroom Projects.) It has methods to authenticate users, send to specific lists and I appreciate Dr. Curtis Bonk putting me onto this tool. For fun cell phone polls both in the classroom and conferences, this is a great tool. It is amazing, I had an uber-technical person in California who came up to me and said this tool actually made him send his first text message. I use this in class because I don't have the voting systems many use, and it is doubtful I will ever have those tools. Although technically, this is a part of Google spreadsheets, Google forms allows you to collect data painlessly from others around the world. This is a good, simple tool to use for quick data collection, although for research studies and the sort, I recommend surveyshare because of the validation mechanisms in place in that tool that will help your research pass muster with the review committees. I have a student who literally has no antivirus software. While I don't recommend it, I asked him his secret on Friday. He said, "I watch where I go. I watch what I do and what I click on. And I always use Firefox." The add ins and plug ins are scattered throughout this blog post. As awful as it sounds, I tell my students if they want to use IE, they're on their own, because it is so hard for me to remember the plug ins etc, that are in Firefox and which is actually part of the browser! Be careful not to download firefox from places that insert spyware into it. The Fireshot plug in for firefox is great for doing screen grabs and annotation. While the lines between photography and Digital video blur, this really could belong in either. 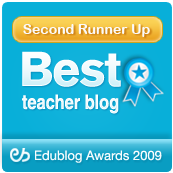 I use this all of the time for this blog and for helping my students. Every student should know how to do a manual screen grab, and then also to use this plug in. It is a life skill. This cool Firefox plug is a great way to browse and find photographs. Again, watch for licenses. I pay for this, although if you use iStock photo on your blog or presentation, you have to understand that it limits your ability to give away the presentation. Great pictures and wonderful for speakers who want to be memorable and follow Garr Reynold's Presentation Zen: approach. If you're a photographer, this is a popular place to make money selling your photos. Although this is great presentation software, it is also one of the best ways to create jpg files for presentations, videos, virtual worlds, tshirts for virtual worlds. Yes, it is my presentation software of choice, but we use this for so much more than presentations and jpg photographs from here end up in movies all of the time. There is a handy app on the itouch called iClickr that actually lets you load and see the PowerPoint on your itouch and advance the slides. Last time I tested it, it wasn't stable yet, but I've heard people liking it since that time. This is a great place to upload your photo presentations. Although they made a big snafu this past April fools by spamming the email of their customers telling them they had 100's of thousands of views, I still like this service. The groups feature is great for conferences and groups of people who want to share presentations. Slidecasting lets you add audio to the presentation. The Powerhouse of photoediting, I use this program a lot and make sure my students come in here multiple times a year. Worth every penny but a steep learning curve. Schools can get the whole Adobe Package at a steep discount, although still pricey and students should buy this while they are still in college and can get the academic license. This is a tool that Google has totally done right, to the point that I order photos through it and use the Google Web Albums for our website instead of the Flickr Albums I used to use. It has some great photo management features, tagging, favorites, and some really neat tools to mashup photos into mosaics and such for all kinds of purposes. The students love this one and usually go home and install it there too. If you cannot afford photoshop, this is a good, free, entry level software. This is a great place to search for photographs and all other types of digital media that you can use. It is much better at photo search - the OWL music search is difficult to use and understand. For the photographer who loves to look at new things, this is a great tool for inspiration as it maps items uploaded to Flickr with a GPS tag on it with Google Maps. This allows the very private sharing of photos and videos. Students who don't want to use youtube or ning often post videos here to post to private web pages. This is an excellent stable service to serve up photos. The original photosharing service. Flickr groups are a great way to share photos and put them up onto websites as well. This cool website lets you make magazine covers, posters, buttons, and all kinds of things with photographs. This is a fun one to use with students. I list this first on my virtual world list because there are some issues with Second Life Teen public grid that make it unacceptable for my school use. Additionally, Second Life islands are too big for my tiny budget. Lots of information on this on my student Digiteen blog, I'll let them speak for the merits of it, they sold me! In the places apart from R/X rated areas, are fascinating, neat places to learn. The toughest thing is that you never really appreciate what SL can do unless you have your own place to create. For this reason, you may want to learn with a local installtion of Opensim or exploring in a place like ReactionGrid. We host our SIS server with Pearson on their ASP system. The parents, students, and teachers love it for the most part. We use PowerGrade which can be glitchy sending files up to the server and I am testing the PowerTeacher interface which seems to glitch every time a Java update is released. But overall, I'm very happy with this system, and look forward to our guidance counselor attending PowerSchool University this summer. Cost: ASP version costs in the thousands a year depending on your school size. This is what I use and love to help our students. We have a method and custom curriculum that I've developed to prep the students in about 2 week but we've improved our overall school score by over 150 points over the past four years -- again, it is not just this system, we have a way to do this that I guess will have to remain secret, but this software is certainly a big part of it. Even if you do not use an iPod, you'll want to use iTunes. If you buy a movie in this tool, the quality is GREAT! The playlists organize your music, and the podcast subscription set up is the best. Since most podcasts are still listened to via computer, you can stock up on your morning listening with things like the Wall Street Journal morning report sent to you each morning. If you have an iTouch and want to use itunes in your room, get the Remote app and you can control it. This is a great place to listen to music as it compiles your own radio station. The iPhone/ iTouch app is great. This firefox browser plug in lets you search and find music in a iTunes like way. Neat tool. Great place to find creative commons music for remixing and video. Cost: Free, just make sure to give proper attribution for Music. I couldn't live without Audible. I happily pay for my credits each month and keep my iTouch full of books like Pillars of the Earth, Game of Thrones, How to Win Friends and Influence People, Get Out of that Pit!, Brisingr, The Shack, and The Last Lion. My favorite music editor is free and open source. Learn to use it and you'll havea powerful tool to make and record podcasts. Related Post: Podcasting: What Will It Take for the 1% to Grow? The Single Best "Gadget" I have ever owned is my iTouch, bar none. I've lost weight, got my house cleaner, more supper on the table, answered my email faster, and organized my life in ways I couldn't understand 5 months a go. In addition to the apps above, here are some of my favorites for home management. My itouch has helped me tremendously with managing my three kids, two cats, and wonderful hubby. The best recipe site on the Internet without exception. I've been using this almost as long as it has been out! I love to do freezer cooking by cooking ahead for the next 30 days and this software lets me type in my recipes and do this easily. The beauty behind this site is underneath in the subscription side. The Rapid Debt Repaymnet Calculator is a beauty and her newsletter is wonderful. Mary Hunt has dramatically improved our financial situations since we found it in the early 2000's. We lost everything in 1995 when our pecan grove went under water and continue to follow these principles to get financially sound. Notorious for not knowing how old I am (last year I blogged that I was turning 38 , I was really turning 39!) - this year there is no escaping that I am 40 wonderful, incredible, struggling, up and down years of life on this day! This post is dedicated to you. All of you out there who read this blog, teach me, encourage me, and just push forward to use technology in new ways. I'm going through all of the tools and things I use frequently in the hopes that they'll help some of you as they've helped me and this post, my friends, has taken the single longest amount of time of any post I've ever written. It is not meant to be a comprehensive list of sites available in the world, they just happen to be the ones I personally use at this time. If your favorite app, software, or site isn't listed, please feel free to share and tell me about what I'm missing! This my birthday gift to you. Thank you for stopping by and enriching my life in so many ways! Newsmap, my favorite way to read the news, has moved. Great tool for reading the news! If you are using wikis in K-6, please respond!